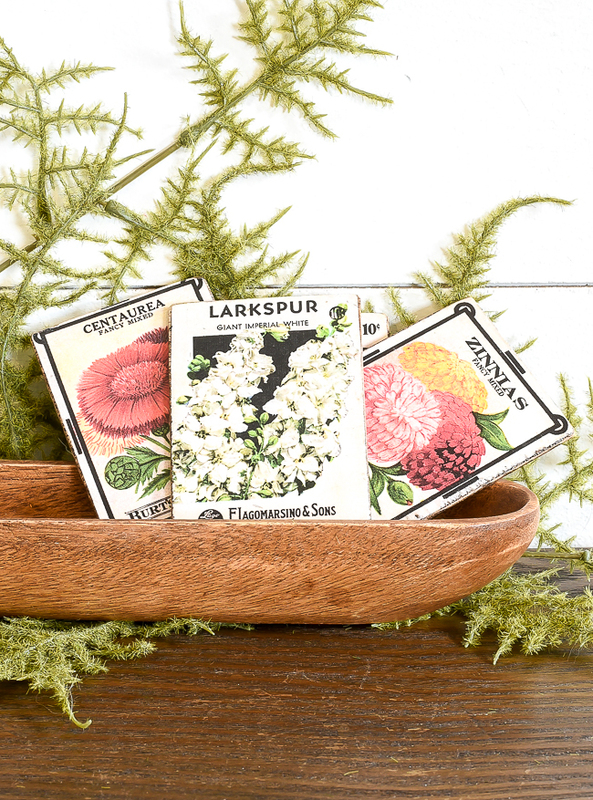 How to Make Vintage Flower Seed "Packets" | Little House of Four - Creating a beautiful home, one thrifty project at a time. 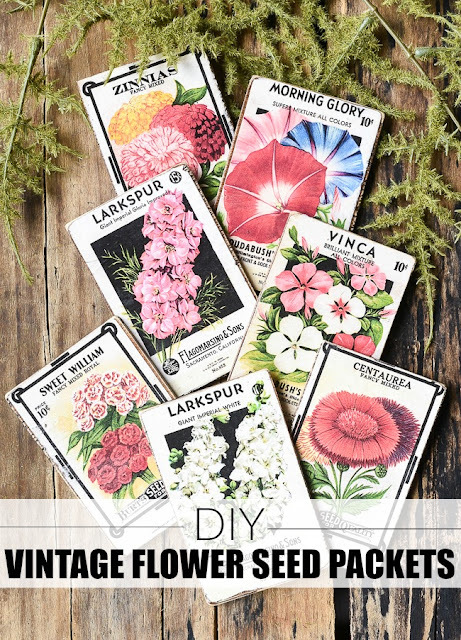 : How to Make Vintage Flower Seed "Packets"
How to Make Vintage Flower Seed "Packets"
These vintage seed packets are perfect for adding a touch of spring to your decor. Display them in a basket or turn them into a garland. Either way, they can make an adorable addition to your home for spring. It's almost May, the weather is getting warmer, perennials are making an appearance and it's almost time for Peony watch 2018. I'd say that means it's a good time to share another quick and easy project for spring. 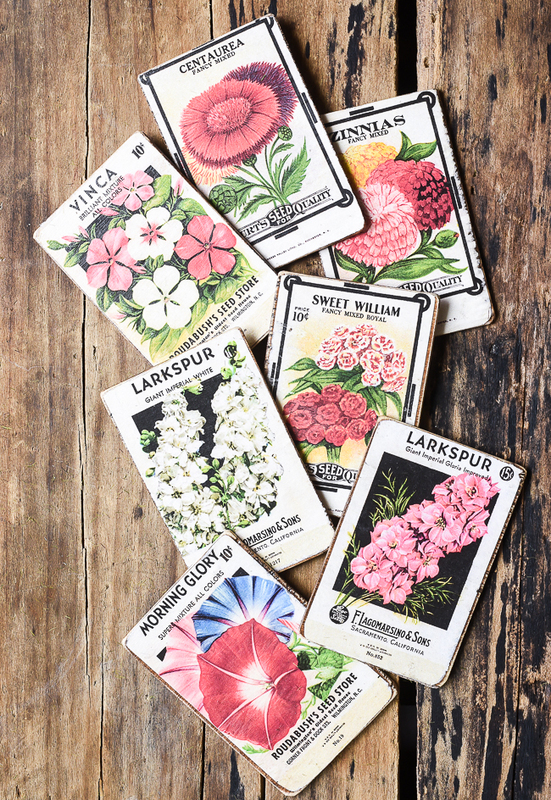 Last week, I shared 12 free vintage inspired printables, which included a set of vintage flower seed packets. 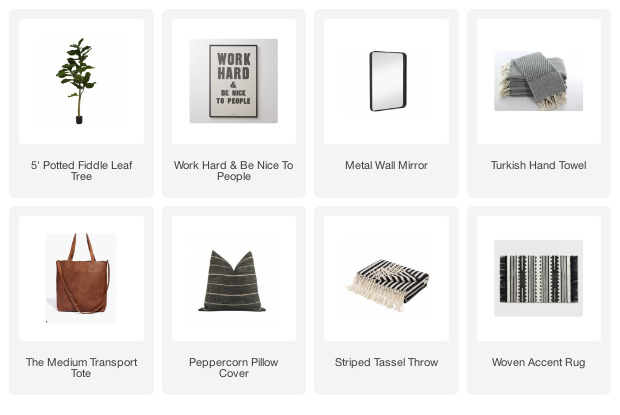 Although the images I shared weren't exactly what I was looking for, they did spark an idea. 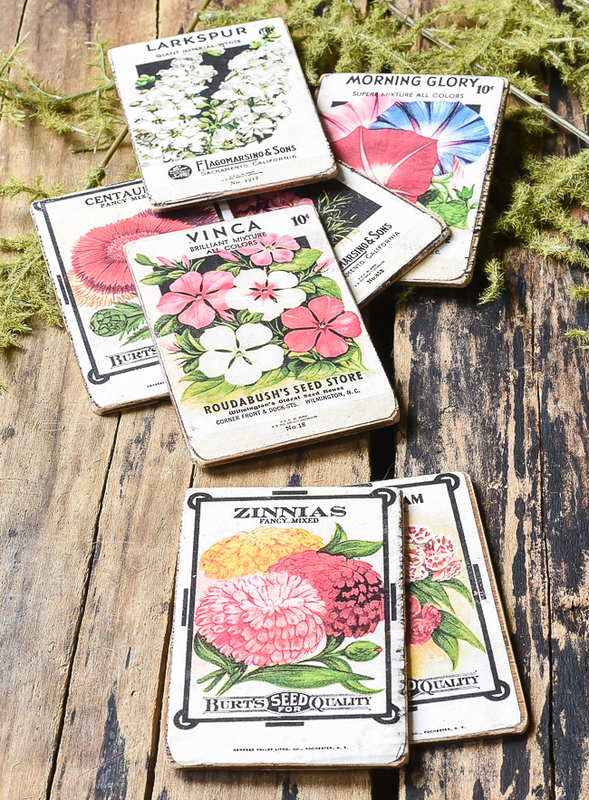 I turned to ETSY, searched for an instant download of vintage floral seed packets and stumbled upon these beauties for 50% off. 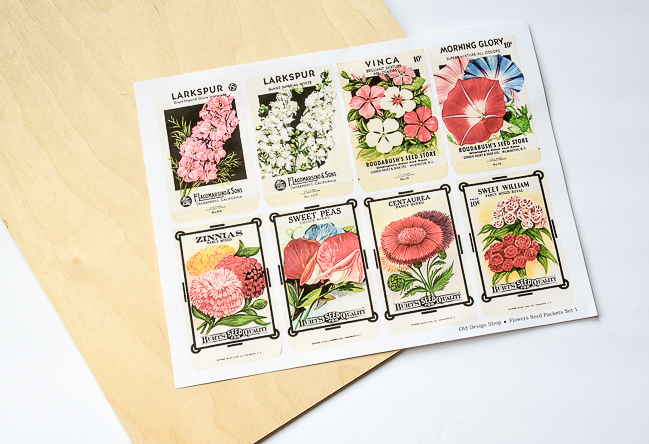 They were exactly what I had in mind and the perfect images for creating DIY seed packets. I can't remember the exact thickness of the wood I bought from Michaels, but it was definitely thick enough that you couldn't cut it with an Exacto knife, but thin enough not to make the packets too bulky. Basically, it was just right. 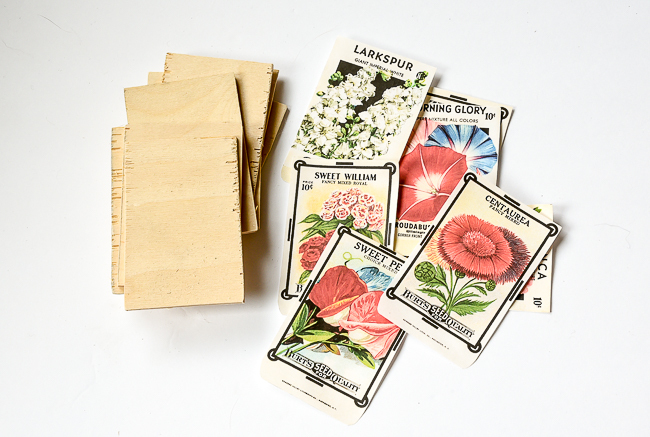 I started by measuring and cutting my wood so it was just slightly larger than the seed packet printables. I sanded all the rough edges then gave each piece a good coating of antique wax. You can also use stain, but I like to use wax since it dries quickly and can be used inside without stinking up the house. 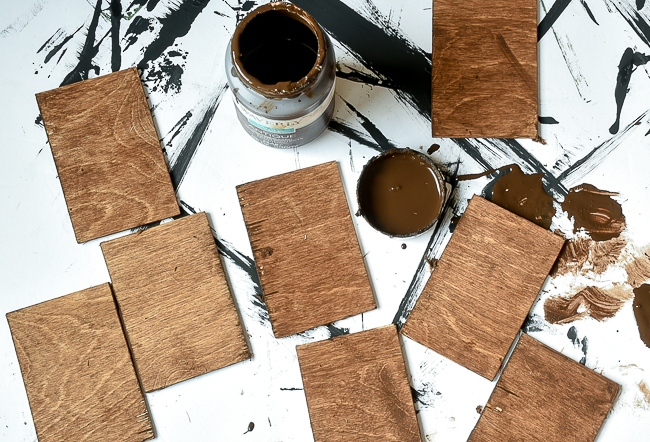 After the stain was dry I glued the printables to the wood pieces using Mod Podge. 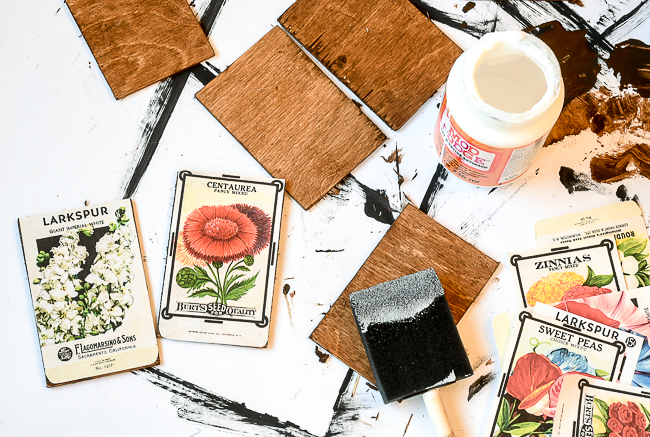 I let the Mod Podge fully dry (this is important in order to avoid bubbles) then added another layer of Mod Podge to the front and back of the packets to give them a nice clean, smooth finish. 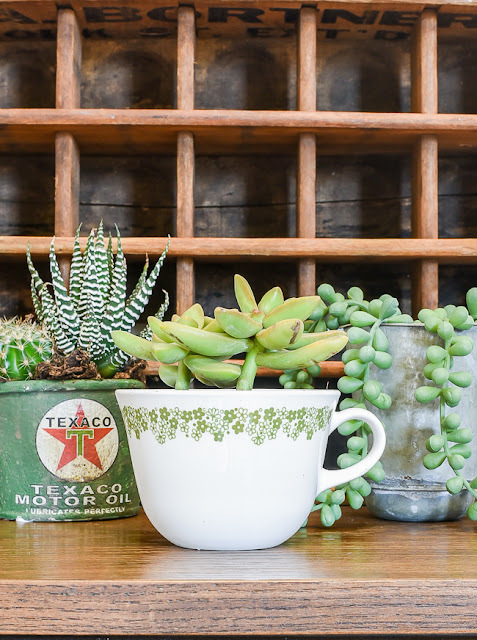 You could easily turn them into a garland (just drill two holes in the top and thread them with jute) or simply display them in a miniature dough bowl for a vintage addition to your spring decor. 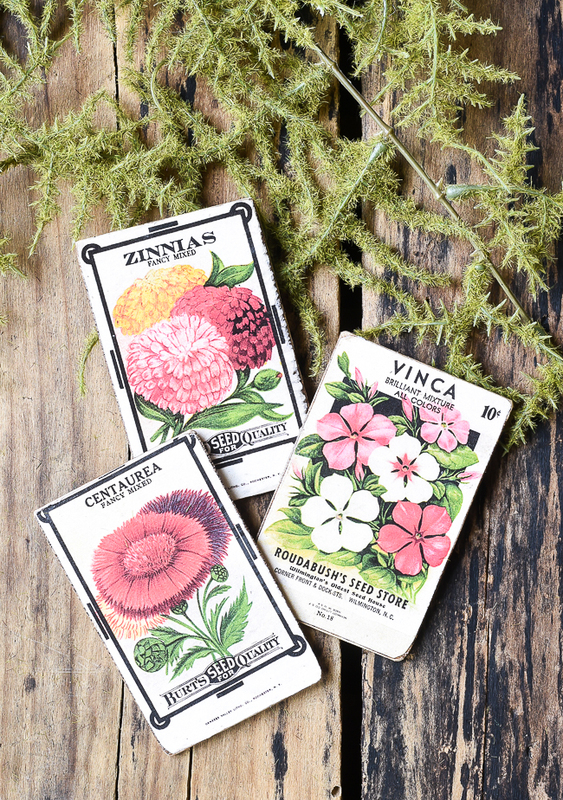 I also like the idea of using vintage vegetable seed packets, adding a shim, dowel or skewer and using them as vegetable garden markers. 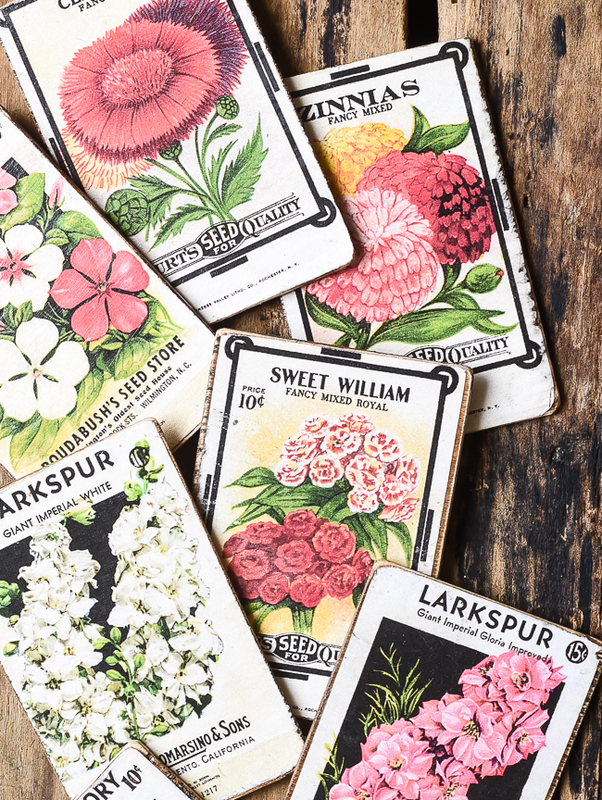 No matter what you decide, these adorable vintage seed packets make for a fun craft project that easily doubles as decor.